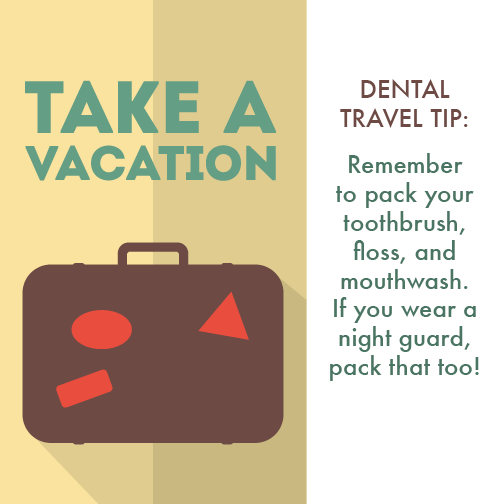 Schedule your cleaning and checkup with your Hemet dentist prior to planning travel to ensure any problems are identified and treated before you leave. Call us at (951)925-6596 to book your appointment. If you experience severe tooth pain or trauma while traveling, feel free to call our office at (951)925-6596 to discuss your symptoms. We can help you determine if it’s urgent to see a dentist right away or if you can wait until you return home to seek treatment. The entire team here at Larrondo Family Dentistry wishes you safe and festive travels this holiday season!